Often I am asked “Are soybeans and their products safe to eat?” It seems some people would have us believe soy is full-on toxic. Others point to the low rates of breast cancer and menopausal difficulties in Asian women, link this to their regular soy consumption and suggest soy is something we would all benefit from. Wherein lies the truth? Let us go Out on a Limb once more and examine the science behind soy and breast cancer so we can bring some logic and clarity to this often steamy debate. Then I will tell you what Ruth and I actually do, and not shirk from drawing some compelling conclusions and making recommendations. 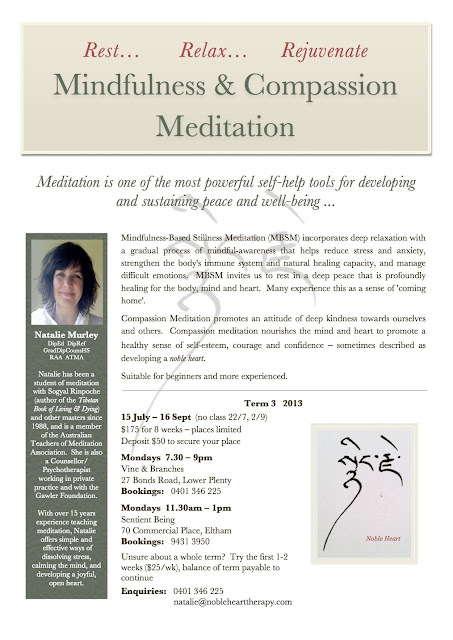 Also a reminder Meditation in the Desert starts September 6th and we do have a couple of places still available. LINK HERE. 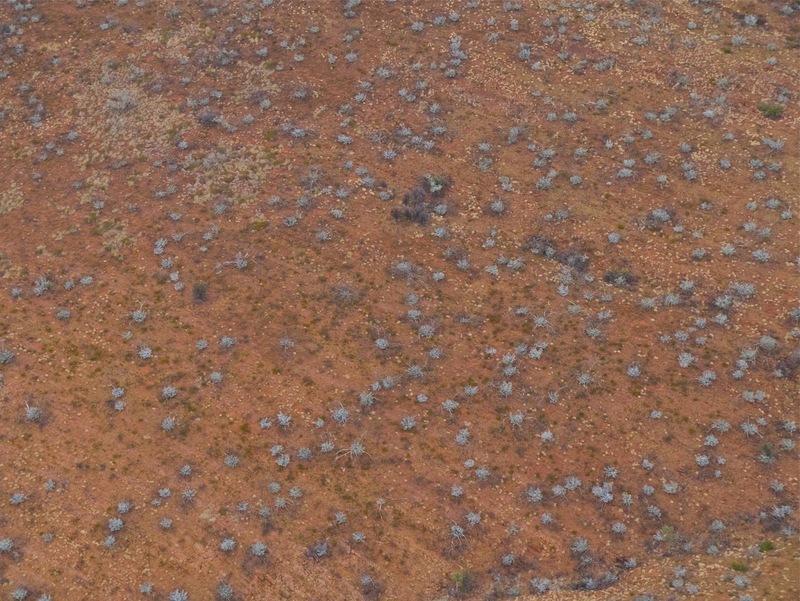 Attached is an amazing aerial shot of the desert taken near to where we go in the Western MacDonnell Ranges. Just like an aboriginal painting. Or is that Fred Williams?! The picture is even more remarkable full screen. Everyone would be skinny, rich and happy. Soy products have gained widespread popularity in the West over the last 50 years. The supermarkets are full of them and they are added to so many pre-prepared foods, yet whether they are really safe, and especially what to recommend in regard to breast cancer has been an issue of great contention this last decade. It is an area in which I have taken a great deal of interest. I have read widely, spoken to many authorities and fielded many questions. What follows then is a major piece in two parts which aims firstly to bring understanding to the soy bean itself. Particularly when it comes to nutrition, I am of the view that if we can understand the principles, then the details follow fairly simply and we will have the confidence to make good choices. And then next week, how does soy interact with breast cancer? Does it cause or prevent breast cancer? And what of its role for those who have developed breast cancer – does it help or hinder? And what about prostate cancer and our health in general? As it seems the answers to these questions may well vary depending upon what type of soy foods we eat, let us begin by understanding the bean itself. 1. The raw soybean (or soya bean as it is called in the UK) is a legume that originated in East Asia but is now classified as an oilseed rather than a pulse by the FAO. There are 2 main types, those used for eating (which make up about 15% of world production), and those for oil (85%). Raw soybeans contain trypsin inhibitors that make them toxic to humans and all other animals with a single stomach. Happily, cooking with "wet" heat destroys the enzyme and solves this problem, so all edible forms of soy have been, or need to be cooked. HINT: Do not sprout soybeans unless you plan to cook them. i) Non-fermented foods including tofu, tofu skin and soy milk. ii) Fermented foods including tamari (traditionally made pure soy sauce), miso (fermented soybean paste), and tempeh. Fermentation does lower the phytoestrogen content found in raw beans. People have claimed that historically soybeans were only used after fermentation, but we shall investigate whether or not this would seem to be a relevant issue. 3. Processed soy products are a more modern phenomena and usually stem from soy flour (made by roasting and grinding the beans) and its products. One of the most common is TVP (Texturized Vegetable Protein – which also can be made from wheat, oats and cotton seeds). TVP is a de-fatted soy flour product that is a by-product of extracting soy oil. It has a protein content equivalent to that of meat and is often used as a meat substitute or extender. Fat-free (defatted) soybean meal is a significant and cheap source of protein for animal feeds and many prepackaged meals. It is used widely. Processed soy may be found in many things from vegetable sausages to Mars bars. In 1997, about 8% of all soybeans cultivated for the commercial market in the United States were genetically modified. In 2010, the figure was 93%. Unless a soy product stipulates that it is GMO free, or organically grown, it is almost certain to contain at least some genetically modified beans. Soy beans have a high oil content; around 20%; and soy oil accounts for about 65% of all oil used in commercial and home cooking. However, soy oil is low in Omega 3 fatty acids and high in Omega 6s. The ratio is .13 : 1, whereas flaxseed oil is 3.45 : 1; so for all the reasons why flaxseed oil is good for regular use, soy oil is not. Tofu usually contains under 10% fat, so the oil type is not a major issue when eating it – unless you have very particular needs. Soy beans are high in protein: around 38–45%. Soybeans are an excellent source of complete protein. A complete protein contains in the one food all the essential amino acids in a good balance necessary for human health. Meat is well known as a complete protein and concerns have been raised (probably in a way that is highly overrated) that vegetarians may miss out on some amino acids. Soy protein has the nutritional equivalent of meat, eggs, and casein for human growth and health. So, as confirmed by the US Food and Drug Administration, soy is a good source of protein for vegetarians and vegans. Soaked soybeans are ground; water is added and boiled. The pulp is then removed leaving soymilk. Next, a natural mineral coagulant such as calcium sulfate, magnesium chloride, or a mixture of both is added, causing the soymilk to curdle. The curds are removed, placed in a cloth-lined box and varying amounts of pressure applied to form soft, regular, firm or extra firm tofu. The firmer the tofu, the higher the protein and fat levels. Silken tofu is made when either calcium sulfate or glucono-delta-lactone is added to a thick, rich soymilk. The mixture is put into a package that is then heated to activate the coagulation and produce the tofu in the package. Typically, tofu contains between 10 and 15% protein and 5 to 9% fat. It is relatively low in carbohydrates and in fibre (as the pulp was removed), making it easy to digest.
. at least twice as much protein per acre compared to most other major vegetables or grains.
. five to 10 times more protein per acre than land set aside for grazing animals to make milk.
. up to 15 times more protein per acre than land set aside for meat production. Environmental groups have reported increased soybean cultivation in Brazil has destroyed huge areas of Amazon rainforest. However, most of the soybeans grown contribute to livestock fodder and oil production, so there is still great environmental merit in eating less meat and more soybeans. How is breast cancer affected by oestrogen? Do the phyto-oestrogens (natural, oestrogen-like substances) in soybeans cause breast cancer, protect from it, help or hinder recovering from it? And what of soy and prostate cancer and our health in general? 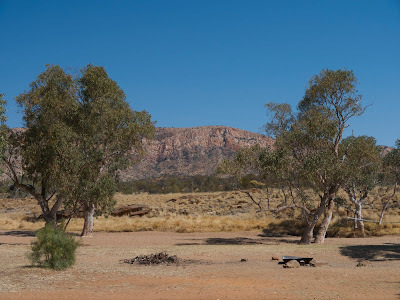 Seven days meditating in one of the world’s best natural meditation environments, followed by several days hanging out with senior local indigenous people. A rare chance to glimpse something of this sadly disappearing, or at least, dramatically changing, traditional culture. 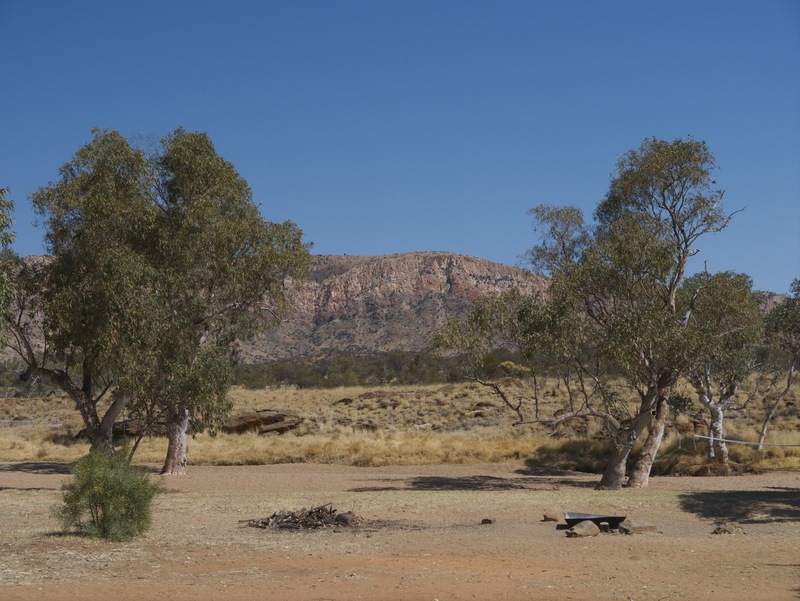 To the right, the view of the Western MacDonnell Ranges from Hamilton Downs where we sit to meditate. Kaye Ellis is someone I know well and can recommend. Her next meditation course in Albury runs weekly for 6 consecutive weeks beginning on Tuesday 6th August 2013 at 2pm. Each class runs for 1 and a half hours. Kaye does not charge for the courses but asks that if able, participants donate $10 per session which she then gives to the Gawler Foundation. Gaia. 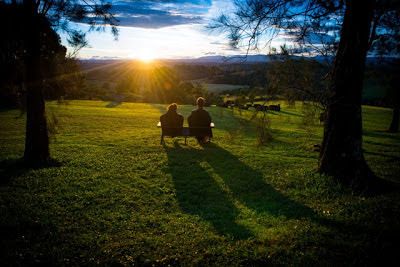 The luxury spa retreat in the hinterland near Byron Bay in the far north of New South Wales that I have heard about from my old friend Olivia (who is not so old at all!) and who I know to be genuinely passionate about good food and a healthy lifestyle. Olivia’s hand is evident everywhere, whether it be in the beautiful setting, caring, discreet and friendly way the staff conduct themselves, or in the quality of Gaia’s facilities with their earthy, natural décor, or the excellent standard of the massage therapists, hand-picked to work in the day spa. There are thoughtful touches of care and beauty everywhere. But what will the food be like? Gregg Cave, the resident manager who treats each and every person like a personal guest, a personal friend, is with us when the dinner arrives. It is immediately apparent. More than a pleasant surprise, it is wonderful! True gourmet health food. A chef who knows how to cook good food well. “I like to call it clean food” says Gregg. 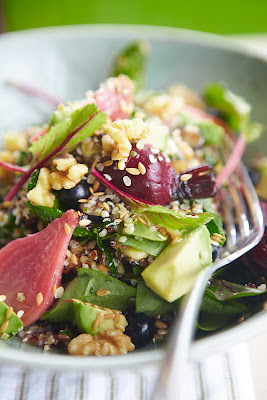 “We start each meal from raw ingredients and we make every effort to use organic produce for its environmental and the health benefits as well as the enhanced flavor." What I notice is the clean taste and the lightness that accompanies eating such food. You finish the meal feeling satisfied, clean and light. So different to many meals we eat when out that in one way taste OK, but leave you feeling heavy and feeling like another meal at home would have been a better choice. Here, every meal is delicious and delightful. And clean! Gaia does believe in choice so at different meals they do present chicken, seafood and some straight vegetarian meals. You can choose to leave cheese or other ingredients out of the meals that are offered; with vegan and gluten free options reliably and easily catered for. So, the four 4 elements of clean food? 4. Keep it simple. Allow the ingredients and the naturally enhanced flavours to speak for themselves and do not complicate things with heavy, overbearing sauces and too many complicated flavours. Oh yes, and to add that gourmet touch, do what Gaia have done - hire a top chef or 2 or 3 who are really into this style of cooking! And support them with top staff. So if you are fortunate enough to have the time and money to go to a top-quality health retreat in Australia, and if you are seeking a place where you choose what you do, where there is no set formal teaching program, where you can go when it suits you, with oodles of pampering, excellent regular optional Yoga, Chi Gong and fitness classes, then Gaia comes very highly recommended. 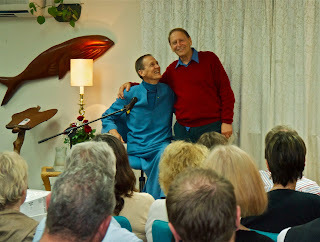 Ruth and I were in Brisbane this last week where for the 30th year in a row I presented at the Relaxation Centre. Quite a milestone really and what a fabulous volunteer driven centre. See the recent blog : One remarkable man, one great lesson. This weekend we are in Coffs Harbor being organized for a day workshop through another old friend and colleague David McRae. David and I worked closely together in the Foundation way back in the eighties and so we look forward to spending more time with him and his wife and speaking in Coffs.